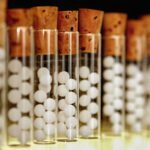 A team of Belgian scientists, leaded by Michel Van Wassenhoven, has demonstrated a memory effect of homeopathic solutions. The researchers identified the signature of Cuprum metallicum and Gelsemium sempervirens, even in the highest dilution, using Nuclear Magnetic Resonance relaxation times’ measurements. They state that the existence of an Avogadro’s “wall” for homoeopathically prepared medicines is not supported by their data. They consider that all dilutions have a specific material configuration determined by the potentized substance, the chemical nature of the containers, dissolved gasses and the electromagnetic environment. 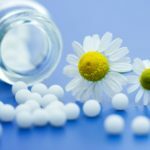 The researchers conclude that the time is now ripe for a demystification of the preparation of homeopathic remedies.